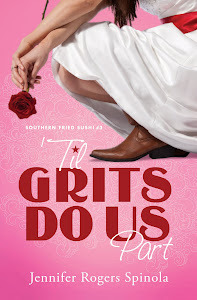 Jennifer Rogers Spinola: Meet Christy Truitt! "I want people to miss my characters. I want them to long to visit the places about which I write. I want them to find grace, redemption, forgiveness and the ability to embrace imperfections." Christy and I have been working together for several months now, and I'd like to give you a glimpse of a writer's life, inspiration, and dreams. Jenny: How did you start writing? What kinds of things did you originally write? Christy: I wrote my first work of fiction at 7. No, seriously, my parents saved the story – my mom even dated it 1977. It was about doomed lovers forced to labor in an oppressive laundry room, run by an evil person. Even then, I craved drama. I wrote about star-crossed Indian lovers from warring tribes and even one in which Santa’s sleigh, absent a sick Rudolph, crawled across the sky one foggy Christmas Eve until Tommy the newsboy offered his flashlight. Life shouts stories at me constantly – what if? What would happen next? I’ll find one snapshot of life and build an entire story in my head. In college, I would write stories for Christmas presents. Christy: Well, life diverted me from writing after college graduation. Visions of paid bills and mortgages replaced dreams of the New York Times bestseller list. I worked in banking for 11 years and reduced my writing to Valentine’s Day love poems. At the birth of my fourth child (one stepdaughter, three biological), I decided to be a stay at home mom – whatever that meant. Finally, life quieted enough for one word to be heard – write. I began writing for a regional magazine, eventually becoming the copy editor too. I also crafted one novel, which I published, but subsequently bought back the rights because it did not represent the values I’ve come to love about my writing. I now know, no matter what, writing is breathing to my soul, and the exhale should carry my most inner beliefs. Jenny: How has your writing changed over the years? Christy: When I wrote my book and crafted the first query letter, I sat back and waited on a plethora of contracts to follow. After all, I had obeyed God’s command to write. I had been doing this since I could hold a crayon. My parents loved my stories. This was my duty, my will in life. But, as typical of so many things about me, I started about 10 steps ahead of the beginning. Don’t get me wrong, people loved the book, but after three years of conferences, books consumed about crafting novels, benchmarking with other writers and wonderful critique partners, I cringe when I open the pages. My subject matter is pretty consistent. I love writing about relationships and how people overcome obstacles, particularly ones in their past. But my style is much more polished and “educated” so to speak. Writing a novel is hard work. I never knew how hard until I realized how little I knew. Jenny: Tell us about yourself! Christy: I live in Auburn, Alabama. I’ve always lived in small-town South – a zip code all in its own. Maybe one day I’ll try to write about something other than small-town South, but I can’t seem to run out of ideas. Banking offered the best part of my life – my husband. I was his commercial loan officer. Christy (smiling): ANY DAY! I knew his debt service coverage, his depreciation schedule, his equipment inventory – heck, I even knew how much he tithed annually. We have four children – Brittany, 17, Abby, 14, Billy, 11 and Trent, 6. It’s a his/hers/theirs scenario. 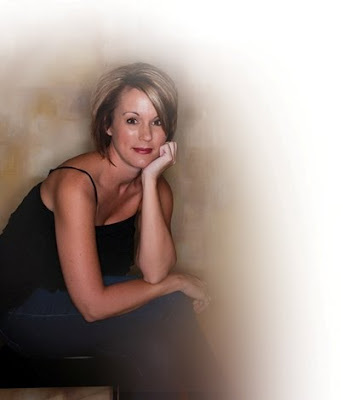 Christy: People call it blended, but I like what Sandi Patty calls it – "Life in the Blender. : It’s never dull. We live in town, but also have a farm. Jenny: A farm! I love the idea of living on a farm! Christy: It’s about 100 acres with a 10-acre pond. We have horses and cows, and 2011 is the year I WILL plant a garden! I want a log cabin out there so bad I could spit, but I’m waiting for God’s plan to catch up with my wants. We do have college tuition peaking around the corner, you know. Jenny: And your work outside of writing and family? 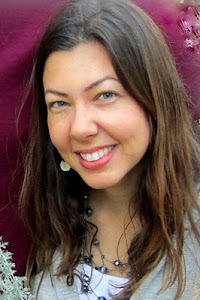 Christy: I have several jobs – 1) Associate Editor at the College of Sciences and Mathematics. I get to write about things I can’t spell. I’ll send work back to my subjects for approval and they return the document like it stepped out of Norman Bates’ shower – dripping red (yuck I know). 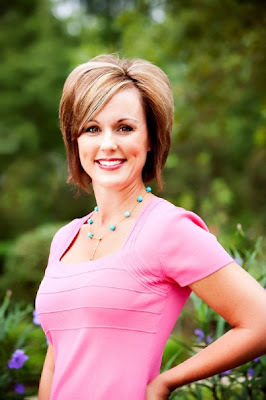 Christy: I'm also am a feature writer and copy editor for East Alabama Living magazine (www.eastalabamaliving.com). I love this job! I've written about Vietnam warriors (Gen. Hal Moore – Mel Gibson played him in a movie), bee keepers, national title football coaches and women who help victims of domestic violence. Jenny: Wow. Since you're not busy (ha ha) how about starting a side business? Or do you have me covered already? Christy: Here you go: I'm a Rodan + Fields skincare distributor (www.ctruitt.myrandf.com) – I started selling these products with my 14-year-old daughter. This "sense of entitlement" generation got my grits to the point I at least could do something about it in my house. We set up the business together – we talked investments, returns, tithing. It’s been such a blessing b/c Abby has learned to earn the money for the boatload of camps she goes to every year. Through this business, we have sponsored one teenager to go to Sharp Top camp through Young Life of East Alabama. Hopefully, we’ll continue to grow and sponsor more. I love teaching Abby how God divides fish and loaves. One good month of skincare orders and BAM, a child gains eternity at summer camp. Jenny: "GOT MY GRITS!" You are my HERO!! Jenny: Tell us about your published book. What inspired you to write it? What was your favorite part? Jenny: Where did you go from there? Christy: Well, then I wrote a story around it. It took about two years, I guess, with life grabbing my attention from time to time. I partnered with Xulon Press, Inc., because it was important to me to retain my rights to the book. I entered it in the Christian Choice Book Awards, and around announcement time, my email inbox remained depressingly silent. So I emailed my contact at Xulon, and she forwarded me the award announcement. I skimmed over, not expecting to see my name because I had not been notified. But there it was – my name as third place in the romance division! Goosebumps ate my arms with the understanding someone OTHER THAN MY PARENTS thought I could be a WRITER! I have since obtained an agent, who is currently looking for a book contract for another book manuscript titled "The First Drop of Rain." Jenny: That's so exciting!! What's your favorite part, then, of writing? Christy: My favorite part about writing any story is falling in love with the characters and setting. I love my hometown of Demopolis, Alabama. Two rivers join together there and create bluffs of limestone – beautiful white mounds rising out of the waters. Whenever I write about Sugar Bend, I return to my childhood – a time when sliding down the pole at the fire station created hours of summer fun. Jenny: Oh, that sounds beautiful... reminds me a little bit of mine. Well, can you tell us about the books you're currently working on? 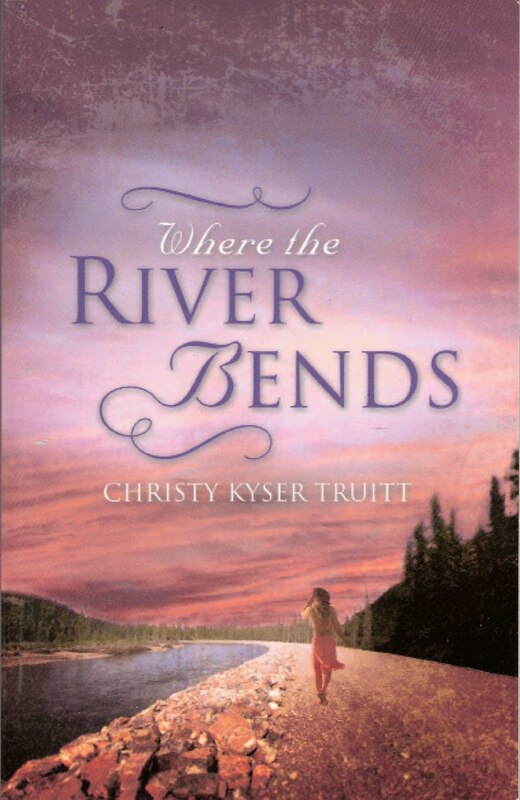 Christy: I've finished two books since publishing "Where the River Bends." The idea for "The First Drop of Rain" came to me in one of my interviews with a beautiful woman named Rex. She had a catering business and would let victims of domestic violence work in her kitchen until they earned enough money to relocate. 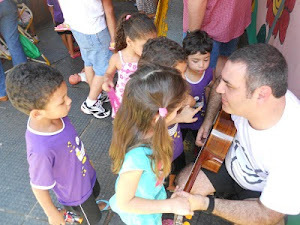 She told me a story about a mother and her five children, one of whom carried a handkerchief wrapped around a rock as a baby doll. I wanted to write a story to dispel the myth that domestic violence only occurs in the stereotypical fashion – addiction, lower economic families. The theme is redemption. Jenny: Can you give us a preview? 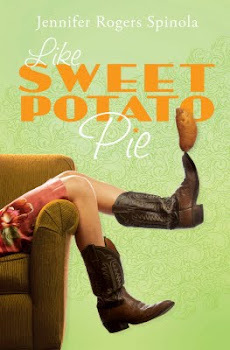 "Kenzie Proctor, director of a battered women’s shelter, scratches her way out of an impoverished childhood only to find the inability to forgive is as binding as physical scars. Love is the only weapon strong enough to break through to a heart guarded by self-preservation. Rising socialite Noelle Kelley volunteers at the shelter, looking for purpose in life. Instead, she finds an unlikely friend in Kenzie, who unveils a truth too shocking to accept. An anonymous character, revealed at the end of the book, shakes off a cloak of pretense and walks toward waiting grace. 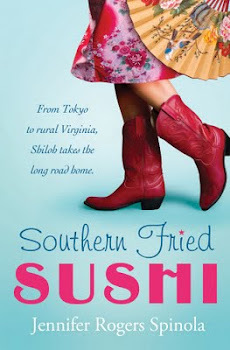 Against the backdrop of the Deep South, each character learns through forgiveness, faith, laughter and love that the most beautiful rainbows follow life’s darkest storms." "Haven Baker’s identity always rested on the mother who abandoned her at birth…until she met her. In an attempt to be the mother she never had, Haven pulls hard on the leash her pre-teen daughter seems intent on breaking. Lauren Baker wants to be anywhere except in her mother’s control. 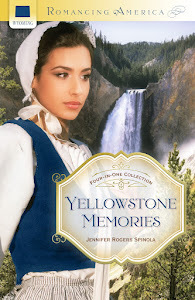 A box of birthday cards, a fading high school beauty queen and a wise Indian elder convince Haven to find her mother. The journey lands Haven on the side of a snowy Alabama highway with nothing but a crumbling marriage and a Bible, while Lauren’s yearning to fit in leads to tragedy. On Hummingbird Wings tells the story of a mother and daughter’s inability to trust, a father’s refusal to give up and the love great enough to sustain them all." Jenny: And I can tell you I'm really enjoying reading that one. I'm learning so much from you, Christy, about dialogue and details. I can't wait to hear what happens next! So... let's hear some more about you. What's one food you'd like to try? One food you'd never try if somebody paid you? Christy: YES! I can’t think of a particular food I’d like to try that I haven’t already, but I love the idea of a personal chef. I’d give anything to have someone prepare organic, healthy foods for me daily instead of the slapped- together varieties my family endures. One thing I’d never eat? LIVER!!! Good granny, how can anyone stomach that? Friend, “Say p-e-n.” He spelled it out. Me, “Pen.” Except it sounded like "pin." Jenny: I want one! Sign me up! And how and when do you find time to write? Christy: I LOVE when people ask me this, because think about it – I have four children ranging from 17 to 6. I have no house help. My kids all play sports and attend multiple church activities in the week. I work one full-time job and have three part-time jobs. Plus I have a husband who 90 percent of the time qualifies as the fifth child (just kidding, honey!) I don’t find time – God creates the time for me. He burdens me with a story until I have to get it out or else I’ll explode! I don’t have the luxury of a set time to write. Well, I probably could if I didn’t covet sleep as much as I do. So I write in my head all day long until God provides the opportunity to put it on electronic paper. Then I type so fast my hands cramp, but my head feels much lighter! Christy: The best advice I can give is to study the craft. Go to writer's conferences with no manuscript to pitch – don’t even make a publisher appointment. Go to learn. Read books about character development, creating a story arc, dialogue, back story, etc. Read good authors and take notes. There shouldn’t be one book in your house without pencil markings. Don’t be afraid to approach well-known authors. When you read their work – send them an email if you enjoyed it. I sent Charles Martin an email one time telling him my kids eat Slim Jims if he has a new book out because I could open them with my teeth and feed my family without my eyes leaving the page. Jenny: YOU ARE HILAROUS! No wonder I love your writing! Christy: (laughing) Charles Martin thought that was a hoot. Jenny: Aw, shucks... next time... Those really were good! I'm inspired now. Seriously. All jokes aside. Although I'll have to translate most people's comments into English first, which might lose some of the steam. Or not... Athos' grandfather regularly calls himself a "handsome goat" and says he's got "sleepiness in his eye holes." (laughing) So any final tips, Christy? Christy:...and told me I couldn’t go home until I finished a book. They’d find me a week later churning butter with Isaiah plopped beside me, the-10-year-old who traded his chores for the blank sheets of paper. The point is, if you love Amish fiction, write Amish fiction. If you love Southern romance, read "Gone with the Wind" and take notes. Then write your story even if the only person who ever reads it are your parents. I promise they’ll love it! Jenny: Thank you so much, Christy! To find out more about Christy Truitt and (hint, hint) buy her book "Where The River Bends," check out her website at www.christytruitt.com. You can buy a book directly from Christy since's she's bought the rights.